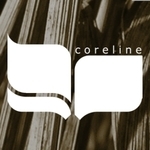 Sign up for Broadjam today to follow Coreline, and be notified when they upload new stuff or update their news! 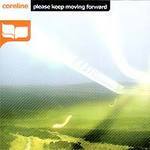 The Debut album from Coreline, 'Please Keep Moving Forward' fuses harsh, complex and distorted rhythm with anthemic synth lines together creating a new sound, harsh for the dance floor but accessible enough to listen to. Orginized sound began life as 'that synthline' and over a rather frantic period of a few weeks and through countless iterations took on its present form. Broadjam Exclusive! Brutal Distorted IDM from Please keep moving forward. Morrigan's Break was the sifst of the 'Breaks' songs focuesed on one element of their construction, in this case, the Rhythm / Timbral deconstruction of a quite simple drum loop.